You’re young and single. You have the world at your feet as you begin your adult life. You’re probably thinking about college or your first job or your first apartment. You’re certainly not thinking about the end of your life! And you don’t have a spouse or children depending on you financially, so why should you think about life insurance? It's more affordable when you start young – Life insurance tends to be very affordable when you’re young and healthy, and purchasing it now allows you to protect your insurability if/when you need it in the future, like when you have children or a spouse depending on you financially. And you can always add more insurance as you need it. Don’t wait until a health issue or age restricts you from purchasing affordable (or possibly any) life insurance. You have student loans or other debt – You may assume that when you die your debt dies with you. That applies to loans taken out through the federal government. Those loans are discharged or forgiven in the event of your death. However, personal loans with a cosigner are not usually discharged upon your death, which means that if your parents (or anyone else) co-signs a loan through a bank for you, they will be responsible for repaying the loan if you’re unable to. Sometimes the bank will even require the loan to be paid in full upon your death. Do you want to leave your parents dealing with both grief and your loan payments? Access to money – Permanent Insurance provides lifelong protection; it stays in effect as long as you continue to pay your premiums and provides a death benefit to your beneficiaries. Permanent Insurance can also accumulate a cash value (Aka cash-surrender value) that you can borrow on a tax-deferred basis. This can come in handy when you need money for emergencies or opportunities that come your way. You can borrow money from your policy, and use the policy’s cash value as collateral. The interest rates are usually quite low, and the loan isn’t dependent on credit checks or other restrictions that may prevent you from getting a loan from a bank. It’s important to note that it does take a little bit of time for your policy to accumulate a cash value. Purchasing a life insurance policy while you’re young is a great way to start on the road to financial responsibility and security now and well into the future. Not sure what kind of life insurance – if any – is right for you? 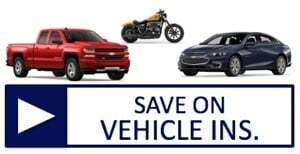 Contact American Insuring Group online or give us a call at (800) 947-1270 or (610) 775-3848. We'll help you get a great price on a quality life insurance policy. 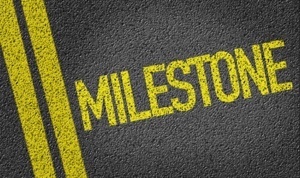 When you have a milestone in your life, do you ever consider the financial consequences of it? You should because these changes have an impact on every part of your life, from the emotional to the financial. Any major life event should trigger a review of your life insurance to make sure it aligns with your new situation. It doesn’t matter if it’s your first or fifth child, your life insurance must protect each one’s financial future. If you die, how will your spouse provide for the children? You should have enough coverage to get them through high school and college. If your spouse dies, you are left with the financial responsibilities of the entire family. More life insurance for you is probably in order. A divorce could have a substantial effect on your life insurance. If your ex-spouse dies, will there be enough to support the kids? 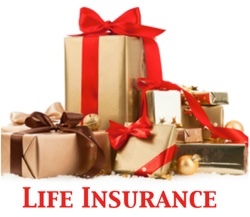 Life insurance must be one of the things to settle in the process. After the wedding, it should be a priority to make sure that each of you is protected from financial adversity if one of you dies. When you purchase your first house, it’s probably the biggest financial commitment you’ve made so far. If either you or your spouse dies, the surviving partner will need to replace the other’s income to be able to pay the mortgage and maintain the same lifestyle. And if you decide to buy a more expensive house—with a larger mortgage--in the future, you’ll need to review your life insurance once again. Some changes to your financial condition prompt you to make adjustments to your life insurance coverage. The loss of a job might make whole life insurance prohibitively expensive, so you switch to term life to lower your premiums. A substantial increase in pay, on the other hand, would require more insurance to replace your paycheck if you die. If you are fortunate enough to come into a large amount of cash—selling your business or property--you may not need as much life insurance. When you retire from your job, that group insurance policy that your employer paid for you stays behind. You will still want to protect your family if you die, so you’ll need to determine if your retirement savings are enough to provide that security. If not, you’ll need to look at replacing at least some of the lost coverage. The most important trigger for a life insurance review is time. You can’t predict the future, yet insurance is meant to protect you against future risks. The best way around this is to re-evaluate your situation every two years and make adjustments to your coverage based on that. If you always wait until a major trigger prompts you, it might be too late because changes in your health may have rendered you uninsurable. If you’ve experienced any of these life events, contact American Insuring Group online or give us a call at (800) 947-1270 or (610) 775-3848 for a free life insurance review. Our independent agents will provide expert advice AND find you the best price by comparing many competing insurance providers - you'll get the right policy at a great price. Contact us today. Young families have a lot to think about--having children, buying their first house, and getting themselves established in their careers top the list. Because of these, money is often not plentiful, and there isn’t much time to look into the future and try to predict what surprises life might have in store, let alone to think about life insurance options. If you are a spouse or partner in a young family, you may not have considered what would happen if you were to die unexpectedly. With life insurance in place, your family would be able to remain in their home and maintain their standard of living. It also gives your grieving survivor some time to make decisions without financial pressure. The necessity for life insurance in young families may be apparent, but persistent misconceptions can keep those families from purchasing the coverage they need. Myth 1: Only the primary breadwinner needs life insurance. If something happened to the breadwinner in your family, that paycheck would be missed. And the first myth addresses the importance of replacing the largest paycheck but without considering the value of the stay-at-home parent. The costs of caring for your children, managing the household, and paying for all other domestic duties can be substantial. The parent who chooses to pass up a paying job and stay at home is providing an enormous service that has real value.No matter the size of the paycheck, your family counts on you and your income to maintain its quality of life, and either would be missed if something were to happen to you. Myth 2: I can buy term insurance now, and if I still need protection at the end of the term, I can always renew the policy. That is true if your policy is renewable, but not all policies are, and renewable premiums can be expensive. Why? When you come to the end of a 10 or 20-year term policy, you are ten or twenty years older, which guarantees a higher premium. And think about this: If your policy isn’t renewable, you must once again qualify for the insurance. If your health has changed over the years, you might be uninsurable. Even if you can qualify for it, you will be paying much more. Term insurance is popular with many young families, and there’s a good reason for it. The policies give the most coverage at the lowest cost. And it comes at a time when money is tight, and the need for coverage is highest. But term insurance is just that—coverage for a relatively short time. It’s an excellent policy to provide for any needs that may disappear over time, including a mortgage or college expenses, but there are other plans designed to meet your longer-term needs. Myth 3: Term insurance is sufficient. 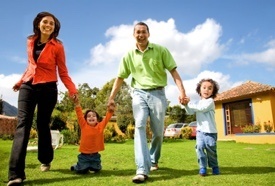 Term life insurance has its place in your overall financial planning, and it certainly makes sense for young families. 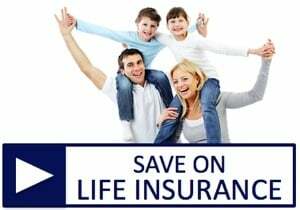 Permanent life insurance, on the other hand, provides a death benefit along with other features such as lifelong protection and tax-advantaged cash accumulation within the policy. 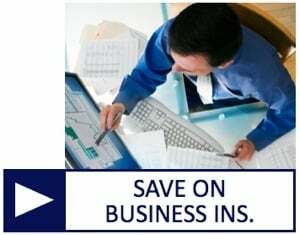 You can access the cash value in your plan to pay for a business opportunity, your child’s education, or an emergency. Just remember that any funds you withdraw from the policy will reduce the death benefit and cash value if you don’t repay them. Although permanent life insurance is more expensive than term insurance in the short term, there are long-term cost advantages to permanent coverage. 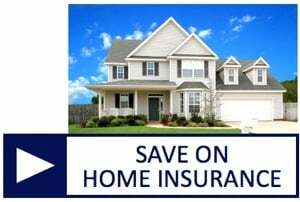 So, you might consider buying a term policy with a large face amount, which gives you the immediate protection you need, and combine it with a smaller permanent policy. To learn more about your life insurance options at any age, contact American Insuring Group online or call us at (800) 947-1270 or (610) 775-3848. Our team of independent life insurance agents will help you find the best policy from among competing insurance carriers. Call or click today to get started. You’re single and have many things on your mind—moving up the ladder in your career, investing for the future, relationships, and the list goes on. Something that you might not be thinking about, but should be, is life insurance. While it’s true that student loans through the federal government are discharged if you were to die, personal loans that have a cosigner are usually not. If your parents co-signed your loan through a bank, they would be responsible for paying the rest of the loan if something happened to you. The bank may even call for the loan to be paid in full immediately after a death, leaving your parents to deal with grief and loan payments. 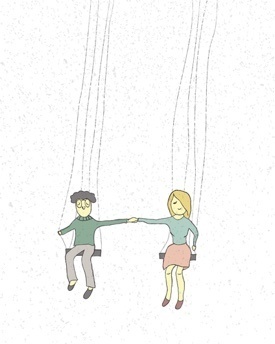 Living together means sharing the financial responsibilities. You probably need two incomes to pay the rent (or mortgage), utilities, taxes, and other living expenses. Think ahead to the possibility of one of you dying prematurely. Would the other partner be able to maintain a similar lifestyle on one paycheck? Or would the apartment have to be abandoned or the house sold? Life insurance may be the only way to create an estate immediately, offering an easy answer to those questions. You’re young and healthy. Your age and your health will mostly determine how much you’ll pay for life insurance. It makes good financial sense to lock in a low price if you have both of these right now. 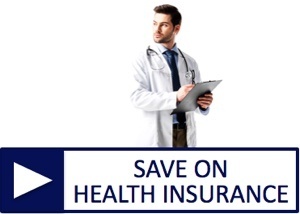 A healthy 30-year-old non-smoker can get a 20-year $250,000 term life insurance policy for about $20 a month. Remember, if you wait until you believe life insurance is a necessity, your age and any health issues that have developed will make the insurance more expensive—or impossible - to get. You plan on having kids in the future. Statistically, it costs nearly $250,000 to raise a child to age 18. And that’s not factoring in the cost of college. You may not be thinking about this right now, but when the kids arrive, they bring with them additional bills and expenses. Purchasing life insurance now means you have coverage in place for when you do have a child, and you have protected your insurability for the future. You know now you’ll be taking care of family members in the future. You may need to provide financial support to aging parents or a special-needs sibling. Think about what would happen if your support disappeared with your death. Life insurance can ensure that there is money in place to fund those needs into the future. In cases like these, permanent life insurance, as opposed to term insurance, might be a better choice. Talk to an agent for details on the difference between the two policies. With the average cost of a funeral at over $7,000, you don’t want to leave the burden of paying for it to your parents, partner, or other family members. No one, especially young and single adults, likes to think about such things, but the truth is if you die without life insurance, someone you care about will likely end up paying for your funeral. We Make Life Insurance Easy - Just Click or Call! Getting life insurance doesn’t have to be an overwhelming process. Contact American Insuring Group online or call us at (800) 947-1270 or (610) 775-3848, and we’ll walk you through your options—at no cost to you. Our independent agents will compare plans from competing life insurance providers to craft a quality life insurance plan at the right price. Contact us today to get started! 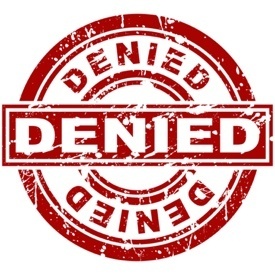 Denied Life Insurance? Take These 3 Steps! Life insurance offers the peace of mind of knowing your family will have a financial safety net if you’re no longer there to provide one. While most people think obtaining coverage is as simple as filling out a few forms, that’s not always the case. What should you do after you try to buy life insurance coverage but end up being denied? It can be a scary situation. You ask yourself why this happened and where you go from here. First of all, don’t get too upset. You’re not out of options. Begin by trying to find out why you weren’t approved. Next, take some steps toward a better outcome. You have a specific health condition: If you have elevated cholesterol or glucose levels, or previously had a heart attack or cancer, you may be denied coverage. 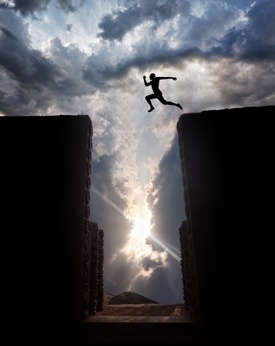 You participate in high-risk activities: Sky diving, mountain climbing, and flying as a recreational pilot are considered risky hobbies that could get you turned down. You’ve been caught driving under the influence: Most companies won’t insure you if you’ve had multiple DUI’s. If it’s only been once, you might be able to shop around and get insurance coverage. You are overweight or obese: The red flag pops up for these conditions because they often lead to severe health complications, particularly cardiovascular issues. You use drugs: Life insurance companies will want to know about any kind of drug use--both legal and illegal. Illegal drug use is an obvious reason for denial. But the regular use of legal medications may point to an underlying medical condition and could hurt your case as well. This is not an exhaustive list, but it can give you an idea of some of the factors that are considered after a life insurer receives your application. Learn why you were denied. Before an insurance company denies an application, they collect lots of data from several sources to evaluate your risk. If the risk is high, you will be rated, postponed or denied. In any of these circumstances, you are encouraged to ask the life insurance company for the specific reason of denial for your application. A denial stemming from a current exam tends to be the most disturbing, since you may not have known about an illness or disease beforehand. But stay positive and be thankful that the issue was discovered, so that you can take steps to resolve it. Confirm the results. You signed an authorization for the underwriter to pull your medical records. If poor exam results were cited as the cause of denial, order these records and check with your doctor to verify their accuracy. Sometimes, mistakes are present in the medical records and need to be fixed. In other cases, you could be denied for recreational hazards, criminal records and even financial issues. If these records haven’t been updated or are lacking in detail, they can lead to postponement or denials because the underwriter simply can’t properly assess your risk profile. Make sure all of your records are accurate and notify the insurer if any discrepancies are discovered. 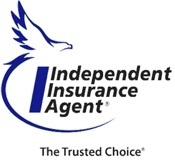 Work with an independent life insurance agent. After you uncover the reason and fix the errors, you should work with an agent to find coverage. Every insurance company has its own criteria for assessing the risk of its applicants, and independent agents know which companies are more likely to approve you based on your health and your lifestyle. Knowledge is power, so find out why you were denied. Then, straighten out all of your records and work with an experienced independent life insurance agent to obtain the coverage you need. Contact one of AIG’s experienced agents here or call us at at (800) 947-1270 or (610) 775-3848.